The big discount might result from incentive stacking. Proceed with caution. 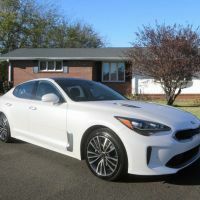 Early in the year, I seem to recall reading � I can't remember where � that Kia was targeting US sales of 15,000 Stingers for 2018. They were at 13,000 as of Sept end, averaging about 1450/mo, so they will reach that 15k. The Stinger has gotten a ton of love for Kia. It seems to be that �halo car' they were hoping for. Plus, it would seem to me that the capital investment for tooling and manufacturing infrastructure for this totally new/different car for Kia would be significant. Doesn't make sense that they would want to shorten the life of this car. It will continue to provide the halo and allow Kia to get their return on the investment. 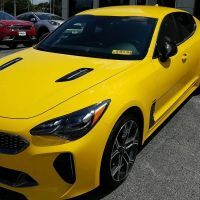 All that said, even though the price-point is still awesome in relation to comparative cars, and the enthusiasts love it, I doubt that the Stinger will ever become �popular'. SUV's are eating up the sedan market, plus the typical sedan buyer looking at an Optima, Accord, or Camry won't/can't drop the extra $. Frankly, I'm fine with that. Maybe a future classic? I love most-everything about the car, and I love having a car that's different. Living in Australia I can say the 3.3 GT is a big hit here, and wait times can be as much as 3 months. Sales of the lesser 2.0 models are virtually non-existent. Ultimately the car has to sell in decent numbers in the U.S to be considered successful. Are gas prices fairly affordable over there? No not really. But we have a severe lack of 4 door affordable performance saloons. The SS Commodore (Chevy SS) was a huge hit here. Since its demise we have had few options. I seriously looked at a Mustang, but there's no way I could get even my children in the back seat for any extended period of time. I am a Stinger owner and I am not taking Kia's side but!!! I own a small machine shop and I know a little bit about setup and tooling costs. With that said I personally don't see any car manufacturer Putting 7 plus years of planning , Hiring top notch design teams , Drivers and spending Millions upon millions of dollars to produce what I see as an AWESOME challenger to a heavy weight class of cars. The scale of such an undertaking tells me that Kia is a forward thinking company. The Stinger wasn't just a re-vamped Optima It was a completely new car altogether. Bottom line... I can't believe that Kia missed the mark on making the Stinger . I just can't figure out why they didn't make the Stinger under a premium new badge ie, Honda/Acura Toyota/Lexus Ford/Lincoln ect. I feel that Kia was doing just fine own it's own based on value for the hard earned dollar. I don't think that Kia is going to stop making the Stinger anytime soon. I actually expect to see them maybe create a whole line of really nice high end cars , suv's, trucks and crossovers all having something to challenge Mercedes , Lexus , Acura and all other Top tier manufacturers. Maybe under a new premium car badge . Personally again as I removed the Kia badges from my Stinger and replaced them with the E badges I had almost a feeling of shame ... That almost all of the buyers of the new Stinger have done the same. It seems a shame to take the thunder away from Kia for making such a truly amazing Hotrod ! Cudos to you guys Kia! JOB WELL DONE !!! Yeah, that's why I left my badges. I believe in rewarding someone for a job well done.